Love is in the air this February! 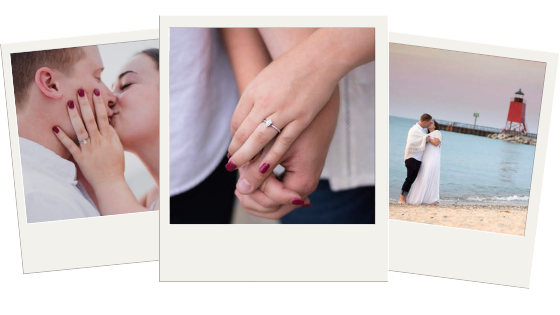 And, with Valentines Day right around the corner, we’re so excited to be sharing our latest couple of the month, Erin and David. 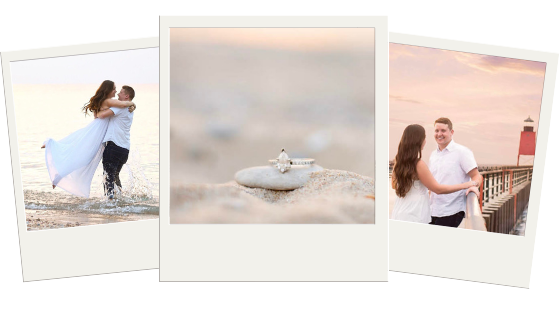 We are head over heels for their incredible photos and sweet proposal story. Congratulations, Erin and David. We can’t wait to see where your journey together leads you. Erin and David met in the 4th grade, when his family moved to Grand Rapids, Michigan. Although they knew one another as children, it wasn’t until their sophomore year of high school, when they had a class together, that they began dating. The couple then went to Michigan State together. After graduation, they moved back to Grand Rapids. 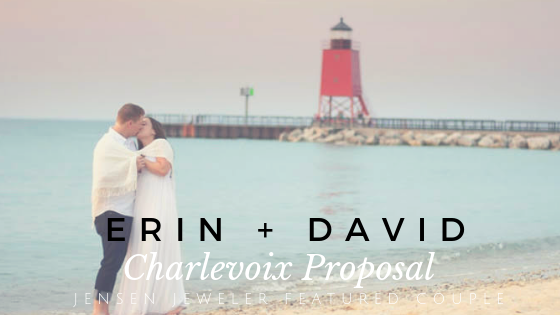 David proposed to Erin over Memorial Day Weekend in Charlevoix, Michigan, one of their favorite vacation spots. We absolutely loved the element of surprise in their proposal, don’t you? Congratulations, Erin and David. We are so thrilled for you both! To learn and see more about David and Erin’s proposal story, make sure you follow along with us on Instagram and Facebook throughout the rest of the month.